AMD is reportedly corralling its partners up for a ‘Partner’s Summit’ event on April 23. Rumour has it that those attending will get all the goss on the packed year ahead for the Texas company – including word on its upcoming AMD Navi GPUs and AMD Ryzen 3000 CPUs. This year is set to be an exciting one for AMD and gamers. Understandably so. Navi and Ryzen rumours have already been plentiful on the grapevine this year, and although few have proven veracious. 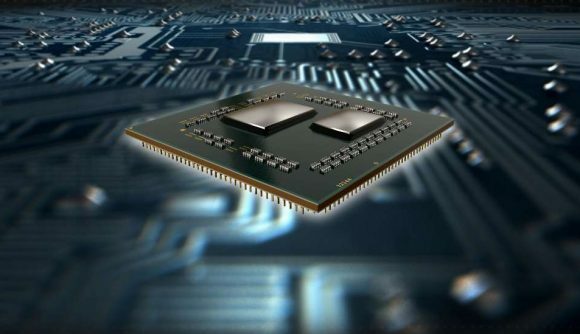 AMD has confirmed only the loosest, non-specific release windows for its upcoming chips, with AMD Ryzen 3000 set to launch “mid-year”, and AMD Navi promised repeatedly to be on track sometime before 2020. So are you suitably salty? Here we go. WCCFTech says it has received word of an AMD Partner’s Summit occurring on April 23. The event is suspected to be regional, likely involving North American partners only. And it also suspects – but falls short of confirming – that AMD will release some embargoed information regarding AMD Navi and Ryzen 3000 CPUs during the event prior to an official announcement later in the year. AMD’s CEO, Dr. Lisa Su, is expected to discuss its upcoming products in more detail during the company’s Computex keynote speech on May 28 – about a month after the potential pre-briefing is said to be taking place. The keynote is the first of its kind, and there’s a high chance that the red team will take this opportunity to, at least, release its 7nm CPUs unto the world. With Ryzen 3000 results already appearing in benchmarking database SiSoft Sandra, it’s likely motherboard manufacturers are well into their own testing with the upcoming chips. But AMD Navi making an appearance at Computex is a little less certain. AMD has reportedly been ramping up 7nm wafer orders with TSMC before the pureplay foundry succumbs to the might of Apple iPhone orders. And that could be good news for impatient AMD fans hoping for a concurrent Ryzen/Navi launch. But the company has suffered from stock woes for its Radeon launches in the past, and could be instead choosing to play it safe and stockpile silicon for a comfortable launch later in the year. We may know more come April 23 – if any of AMD’s partners leaks the event, that is. And while it may feel like the year is passing glacially slow, we’re creeping pretty darn close to what I would consider to be ‘mid-year’. Leaks are sure to be coming in thick and fast in the coming months if AMD is to stick to its touted release window.